The culinary route of Lithuania Minor is located in Kretinga and Silute districts. Duration of the route is 13 hours approximately. The first stop of the Route is at Kretinga district - Darbenai, where the housewives bake rye, sweet and sour, brewed bread. Bread is one of the oldest and most basic food products that humans began to use when cereals were found. Later, they produce delicious kvass. The “Rye bread dumplings” educational session is organized here. 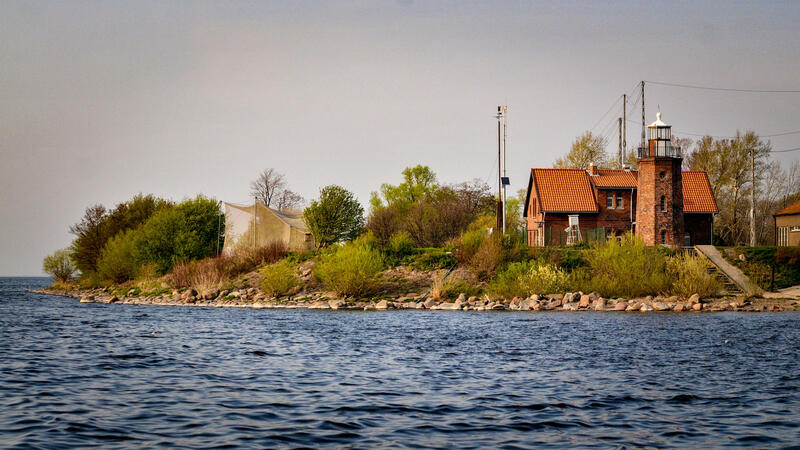 While travelling on the Baltic seaside you approach the Zagatpurviai village in Silute district. A wine of a variety of locally grown fruits and berries is produced here. Raw materials, carefully selected and hand-picked, guarantee the highest quality of the product. “The Wine Way” is an educational event where you can taste Lithuanian wine. The last half-hour trip leads to Rusne. This is the only Lithuanian town on the island. It is surrounded by the Atmata river and is famous for its natural beauty, bird diversity, spring floods and, of course, fish. Many fish have been smoked by the residents of Rusne and they invite for an excellent “The Fish Way” educational session. An ancient fish soup of fabulous taste is cooked in Sysa village. One of the few surviving old inhabitants of the county – resident of Sysa - organizes the “Fish Soup Cooking” educational session. Rye bread and kvass. Darbenai, Kretinga dist. Place: Eglyno st. 7, Darbėnai, Darbėnų sen., LT-97265, Kretingos r. sav. A craftswoman of traditional craftsmanship puts her home-made bread on our daily table. She is delighted to be able to foster this old craftsmanship, which strives for a centuries-long tradition in his/her family - baked brewed wheat and brewed rye bread, bread leavened with natural leaven, homemade bread kvass. Activities: preparation for bread baking, getting acquainted with various bread baking tools, grinding of grain, kneading the bread dough, shaping the loaf of the bread, baking, bread dumplings cooking, tasting. Place: Joniškio miškas, Saugų sen., Šilutės r. sav. It is the first family winery in Lithuania, whose wines are granted with national heritage status. It testifies that domestic wines are produced on the family farm using traditional technologies, traditional raw materials, accessories and equipment. The wine is made on the farm according to the ancient Lithuanian traditions, in accordance with the family recipe of more than 100 years old, from berries and fruits grown on own ecological farm, harvested by hand and carefully selected. Activities: getting acquainted with locally produced wines, their history and traditions, demonstrating the process of production, wine making facilities, equipment, tasting. Duration: 30 min., 60 min., 90 min. Tasting is carried out all year around. Place: Skalvių g. 6a- 4, Rusnė, LT-99349, Šilutės r.
The island of Rusne was always famous for the fish. The place is grateful for its surrounding waters, therefore, fish smoking in Rusne has been passed from generation to generation for many years. Activities: story about activity, getting acquainted with the fish traditions of the Rusne region, demonstration of the smoking process, fish tasting. The duration of the educational training depends on the needs of the groups (education, demonstration of the process takes 30-40 minutes), fish tasting. Fish soup. Sysa, Silute dist. Place: A. Dėvilaičio g. 16, Šyšos k., LT-99345, Šilutės r.
Sysa village fish soup producer is one of the few surviving old inhabitants of the county. He learned this soup cooking craft from his parents and grandparents. Activities: story about fishermen and fish, making fish soup, tasting. Route length: 112 km Duration: 10 h.